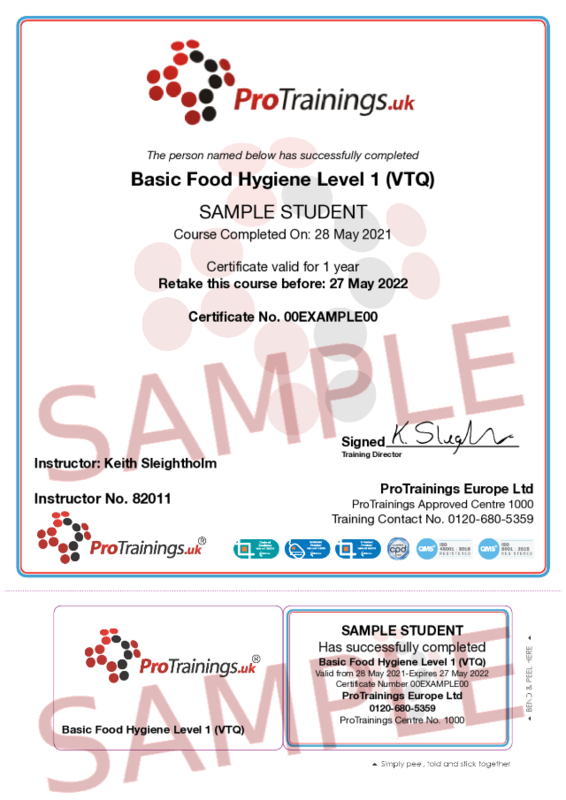 This is a basic food hygiene course is for people who just need a basic course rather than our full level 1 and 2 food courses. This course is ideal for workplaces where an understanding of food safety training is essential, for example; in the care sector as a refresher course or as part of the care certificate. This course can be mixed with other subjects in a days training. Contact us if you required a tailored course to meet your specific needs. If you want a full course please click here for the level 1 or for click here for level 2.